If there’s one thing that the online betting world has tons of, it’s desert-themed online slot games that celebrate ancient pyramids and queens. This week saw two new Egypt-inspired titles for players to dive into so grab your sunscreen and sunglasses. Maybe there are so many of them because people love the genre or perhaps it’s a topic that gives developers a lot to work with. Either way, those who love them are the ones who will benefit. The increasingly popular software developer Relax Gaming is one of the most recent companies to jump in on this craze, with King of Kings Slots, that has a story line focused on the upper class life of the Pharaoh king himself. Bonus options include surprises like “Jackpot Stars” that are triggered during the regular mode to give players the ability of placing a side wager that could potentially lead to 25,000 times the stake. This title also features free spins and the possibility of triggering a 6th wheel that will really pump up the win amounts. The symbols will not be a surprise to anybody and include the traditional images of gods, jewels, and more. 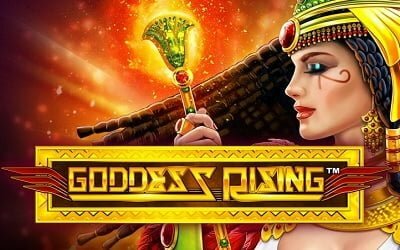 With a more of an ethereal feel, Goddess Rising Slots is another Egypt-themed gambling game from well known software developer, Novomatic. This machine features Isis, one of the most prominent goddesses of ancient Egypt. Like many of the other ones out there, the imagery includes scarab beetles, hieroglyphs, golden gods, and the Sphinx, which serves as a Wild worth up to 160 times the wager. One of the incentives for playing Goddess Rising, in addition to the fun of just spinning the reels and potential wins, are the four-stage progressive jackpots that can be triggered at any time. Isis herself serves as a Wild that will summon one of these huge cash prizes that could pay out at a few different levels. So if you want to check these great new titles out, hop on your magic carpet and glide on over to the 888 Casino games list and start your quest for riches and treasure – the ancient gods await!